The mayor was reacting to the March 5 hearing he moderated at the Foothills in Oneonta, where a long series of speakers pushed back almost unanimously against the gas-expansion project proposed by the city and Otsego Now to develop the D&H railyards. The mayor’s insinuation of class warfare is totally out of line. No one at the hearing told anyone they can’t have a job. On the contrary, the point was repeatedly made – by many people distinctly not “economically secure” – that the development of renewable energy and retrofitting buildings to be more energy efficient was far more likely to produce jobs than the proposed railyards project. The argument wasn’t about denying jobs; it was about getting good jobs without the downsides of the railyards project of pollution, emissions and declining property values, as documented by speaker after speaker. The editorial goes on to talk about “intimidation as the local environmental movement’s preferred tactic.” A strange remark. It’s true that local groups have exercised their rights in filing suits in court on environmental issues. Their success demonstrates they had a point, and that the courts concluded they were acting in the public interest. Perhaps some appreciation is in order? Also, the editor’s weird view, that since we’re so small it doesn’t matter what we do, boggles the mind. Does that mean that it’s OK for individuals to cheat on college exams, or income tax, or pollute the air? Is this our new public morality? Mr. Casale’s distorted account appears to be born out of fear and desperation. It bears no relationship to what actually happened at the hearing. Far from being a “small group,” an overflow crowd of hundreds packed the room. was home grown and pragmatic. Far from being obscured, the Downtown Revitalization Initiative was described at great length by Mayor Herzig and former Mayor Muller before the hearing began. Far from “hijacking” the meeting, local citizens waited patiently to exercise their right to speak against a perceived threat to their community, and in hopes of a more productive economic policy for jobs than the railyards project. Speakers included both city residents and neighbors like myself, for whom Oneonta remains our major commercial hub. We are no more outsiders than Mr. Casale, a Cooperstown resident. The fact is that Mayor Herzig and Republican chair Casale didn’t like what they heard. No one – not a single person – spoke in support of the Railyards project. Even the remarks by Seth Clark, quoted approvingly by the editor, failed to endorse the project. He simply pointed out, rather plaintively, that “we need hundreds and hundreds of jobs,” without saying where they should come from. I don’t think anyone who spoke at the hearing would have disagreed with him. But the mayor is prepared to soldier on. It’s not clear who his pro-railyards constituency really is. By any measure so far, it’s not the ordinary people of Oneonta. They want jobs, yes, but they apparently don’t care enough about the railyards’ job prospects to show up and support it. The only immediate beneficiaries of the project would be a few local businesses who stand to gain short-term contracts for some of the work. 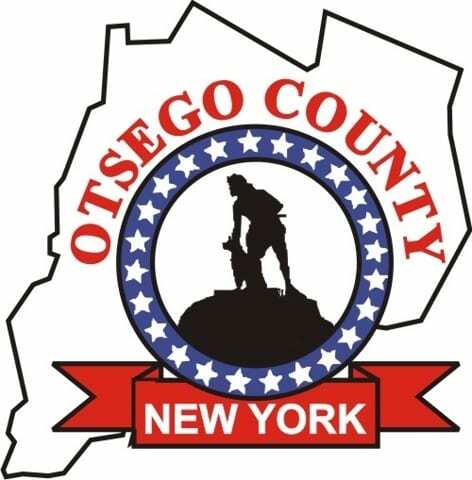 as Otsego Now has done, into smokescreen hype about dubious permanent industrial jobs that might be created – while dismissing well-documented objections about the harmful effects to the local population, as well as ignoring the potential of the environmentally oriented jobs we could and should be pursuing – is disingenuous at best and cynical at worst. Unfortunately, local debate has morphed into desperate name-calling and innuendo by the project’s supporters. Terms like “radical,” “intimidation,” “external,” “socialism,” “extremist” and “economically secure” are labels here used to besmirch opponents and denigrate public testimony, revealing a profound disrespect for fellow citizens. No one is saying we can get off fossil fuels tomorrow. No one at the hearing said so; they know better. 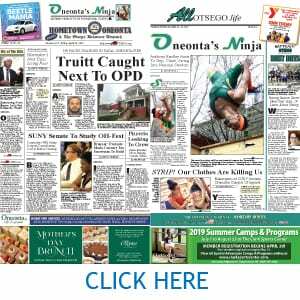 Everyone knows the DeRuyter pipeline is a current necessity to heat homes, businesses and institutions in Oneonta. Fixing it so it doesn’t blow up is obviously in order. The elephant in the room is global warming and climate change affecting us all. The policies that got us into this fix are not going to be the ones that get us out of it. Expanding natural gas consumption in Oneonta is NOT the way to go. Adrian Kuzminski, retired Hartwick College philosophy professor and Sustainable Otsego moderator, lives in Fly Creek.